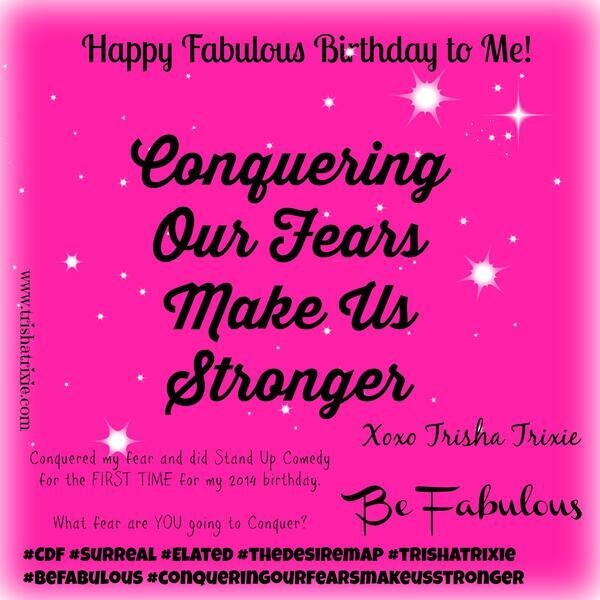 Today's messages is how conquering those fears makes us stronger. For my birthday this year, I did stand up comedy. I have always wanted to try it and so I did. I conquered the fear and I feel fabulous. I conquered my fear. What fear are YOU going to conquer?